4G version on the cards? Having just heard that Nvidia may be well into preparations to bring its own 7-inch Android tablet to the market, some benchmark figures have surfaced as more evidence. The details were uploaded by blog Techkiddy, which posted the AnTuTu benchmark results of a certain "TegraTab7-Premium" being tested in China. 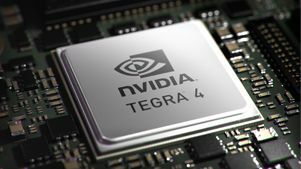 The Tegra Tab comes out with 27,643 points, lower than the new Nexus 7, although the specs also claim that Nvidia's slab has just a 1280x768 pixel resolution. Other features of the tablet include a 5 megapixel camera, 7-inch display, microUSB, microHDMI and a possible SIM tray, meaning a 3G or 4G version could be coming our way. Given that stylus pressure is supported in Tegra 4, this is also said to be included. We previously heard that there could actually be two tablets in the works, with the other running Tegra 5, currently codenamed Project Logan, that may take off at the same time.